Which tracks would you like to see on OPS2? Voting in this poll has ended. More Other People's Songs This thread currently has 3,164 views. The Erasure4rum has a new campaign to announce. This time we think that Other People's Songs requires a follow up release. The idea being this could be recorded in a very short time,Abba-Esque was done in a weekend,the songs are already written and have been proved as worthy additions to any 2nd volume. The idea being that if this could be recorded in the next few months previous to the new album release and kept in the vaults until the end of the Robbie support tour,then when Erasure come back to promote the new album a gap of half a year has passed,so how about release OPS2 and have a joint tour promoting both albums. Sadly since this project has been in development Vince has dismissed the idea in the Erasure Christmas message 2016,but we think the idea still has legs whether its before the new album or if its kept back as a 'maybe'. 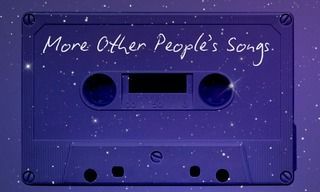 We have curated four different versions of 'More Other People's Songs' versions 1 & 4 are by Erasure4rum members,version 2 is by Team Tortsen-Barney Ashton-Bullock & Christopher Frost,version 3 is by Team Shelter-Mark R Bebb & Rob Bradley. Take a look at all of our variants,and vote in the poll attached,multiple votes are allowed. After a month (31st January 2017) the poll will close and a definitive version of the album can be compiled and a list of the top 10 tracks all be put together to create the ultimate version. Queen classic just think of Andy multi-tracking the backing box,a cover I'm sure Freddie would prove of. Dollar-it's just a camp cover of a classic pop song to payback for Oh L'Amour. AC/DC who wouldn't want to hear that rock classic,a genre so far removed from Erasure it may just work. Japan-Andy loved them,so did I,but this backing would suit Vince down to the ground. Bronski Beat album track thats quite apt,maybe even getting Jimmy to join in on backing. I find that OPS appeared to suffer from a lot of "veto factor" to the point of having mostly songs that weren't the band's true favourites. My list tries to address that. so I think this one is a no-brainer. Blondie is Andy's favourite artist, and this dynamic pop song with a soaring, intergalactic chorus is pretty much already an E classic in disguise. Again, one of Vince's favourite artists - Joni Mitchell (even though the version the cover would be based on is Judy Collins' poppier incarnation). This is one of the greatest songs ever. The band taking it and Erasurizing it up would be an epic event. still managing to be sad - an emotional goldmine for Erasure. As a nod to Abba-esque (it *is* 25 years in 2017 since that #1), I think this full double-length medley would become a bigger-than-life classic. Touching on war and love, it's Erasure through and through with some of the catchiest melodies in the Abba catalogue. On a "B" note, quite literally (and this may be cheating), I would love for Vince to cover the instrumental "Popcorn" by Gershon Kingsley as a B-side. Runner up: "Delilah" by Tom Jones. Imagine Andy's voice on that and some colossal analogue synths from Vince turning this popzilla. The circumspection of first love and lust, working out who you can trust. The feel of partying hard but being aware of the potential to be shy and hurt. It’s got lyrical depth but is a joyous electro-pop song too! Like a dramatic pop-theatre cross-over in 3 minutes. An ultimate story telling song that would benefit from a more sympathetic and updated instrumentation. Story telling songs are where it’s at for me and singers channelling the empathy of the life stories of the characters in such songs have the ability to transcend ‘pop’ with the ‘process of becoming’ - basically being an actor. This is a redolent and everyday story of the heartbreak of the end of a romance that because of a debilitating shyness never began. The train for ‘New Street’ awaits for all the wishes otherwise. The challenges and complexities of adulthood often bring forth a wish to retreat to childhood simplicities. In this song, the protagonist wishes herself back in the safety of a den ‘under the ivy’ in the garden her childhood home. A place that she felt secure and safe, states of mind that can elude us as we age. Andy has always aligned his musical loves to what he calls ‘soft punk’. Hazel O’Connor with her breakout post-punk album and film ‘Breaking Glass’ was at the vanguard of British artists working in this genre. I have always imagined an electro-pop version of this classic track, a song I consider to be a secular hymn in a violently shifting world. I love the harmonies and feeling in this song and feel that Andy's voice is well suited. He showed his versatility in singing ballads and touching/sentimental songs during the Torsten shows/albums. Again this is a heart warming song that I feel Andy's voice is suited to. It would also be interesting to hear what sound world Vince would come up with for a song like this. This is one of my favourite big band jazz standards and it would be interesting to hear an Erasure take on something so removed from their stock output. This is my favourite David Bowie track which packs a punch emotionally, narratively and musically. Again I think Andy could put the emotion into the song and Vince could create a unique backdrop to show off his voice. A life-asserting 'coming out' & 'coming of age' track from a time saturated with taboos & experimentation. Has one of the most iconic synth riffs ever produced. Would love to hear Andy's falsetto on Jimmy's track and to see how Vince could re-invent his trademark bleeps on this. 2) 'Fade To Grey' by Visage. This would be also a fitting tribute to the late, iconic Steve Strange. Once again, with Midge Ure of Ultravox on production of this along with the fabulous Rusty Egan (now also a 'Shelter' advocate incredibly), makes for a winning formula. A huge 80's hit the first time 'round, would be wondrous to hear how our boys could re-work this classic. Once again has one of the most famously iconic bass-line riffs ever produced for a synth track. The Eccentricity both on an audio-visual level would also play to Andy & Vince's combined theatrical strengths. 3) 'A Forest' by The Cure. Why this track I hear you say?! The Cure a grungy guitar band & Erasure a synth duo. This track has an an incredible synth / guitar riff which I know Vince could de-construct & re-construct a thousand times over within the electronica domain. I can envisage hearing this done in a kinda dramatic yet deliciously dark 'breath of life' style. Andy, whilst not Robert Smith in tone or feel, could take it somewhere else, more into the commercial pop arena as the riff has huge commercial potential for a re-invention and would get to have lots of watery digital delay panning around whilst swimming in an ethereal sea of reverb to give it that 'dream-like' effect. What Vince could do with this track is unlimited & makes for an extremely exciting prospect. 4) 'Say Hello, Wave Goodbye' by Soft Cell. I think it's fair to say first & foremost this track would have an incredible musical fit both for Andy & Vince. As with all these tracks, most 80's/90's fans would know & love this iconic pop track. The chorus vocals, well all I have to say is that whilst I adore Marc Almond, Andy's voice on this emotive & dramatic chorus would simply soar and play on every heart-string, whilst his lower register in the verses would enjoy massaging each note & jumping around wildly. Vince on the other hand would love these Dave Ball riffs, elements have 'only you' qualities about them. With Erasure at the helm, this track could potentially undergo a complete re-birth. 5) 'I Feel Love' by Donna Summer. Quite possibly aside from Gloria Gaynor's 'I will survive' remains one of disco's timeless all/time constant stalwarts the world over. I can hear Andy's falsetto raising the dead with this one and as for 'That riff', can you even begin to imagine how much more energy Vince could inject? The mind boggles. This has the potential to make everyone start to question everything they thought they knew about their own music tastes & orientation here!! This could be abba-Esque camp-tastic & legendary! 1.Coming Home-Sigma and Rita Ora. 2.Give Your Heart A Break-Demi Lovato. 5.Reload-Seb Ingrosso,Tom Trash and John Martin. Always thought Vince could have written this when with Assembly. Neil Arthur was slated for a part singer in Assembly if an album was made. Wow. Did I miss some indication this was in the works somewhere? Did you coordinate this on Facebook before posting, Mark? Non scientific, just a broad base view of a what if they considered this project as a Vol 2 from a fans wish list. Ah, then you had no lab coats on. No this was a stealth operation,but we had a couple of people who didn't reply so had to improvise,but there is an opportunity for any members to post their own lists below so we can all see what a broad range of musical tastes we have or just to see what you'd like Erasure to cover. It's Just a for fun what if list. Not intended to push the agenda with the band. I tend to agree. Would much prefer new material than another cover's project. Still realize this is just for fun so I have voted. Just hope it never sees the light of day. Now the negative posts seem to have missed the point of this idea,it all came from the long gap between the new album and the tour to promote it,covers are pre-written and Erasure can make them in a very short space of time. 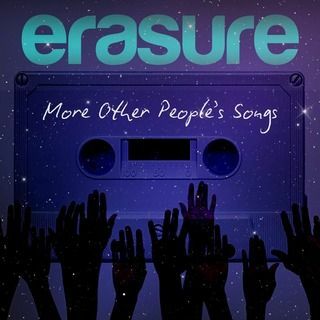 So i suggested in the gap between now and the album release maybe knock out OPS2 so that when the Robbie tour is over and the real Erasure tour kicks off they would have the new Erasure originals album plus a new release of OPS2 to join it. I'm with you on this. I've had enough of side projects lately, although I wouldn't mind a cover version as B-side of a single from time to time. I'd love to hear Vince and Andy doing a cover of an Annie Lennox/Eurythmics song (or, even better, a duet).